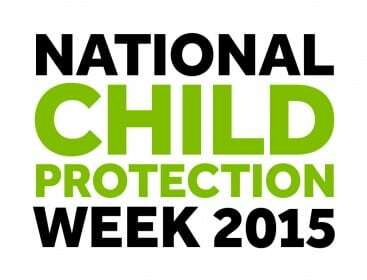 NAPCAN is thrilled with the response to National Child Protection Week 2015. The week was a great success, including a 20 per cent increase in the number of registered National Child Protection Week community events this year. Events and activities were held across the country to promote the safety and wellbeing of children, young people and families from karaoke in Northern NSW, a Dress Up Day in QLD, a Promotion Street Stall in the NT, a Family fun afternoon in SA, an Australian Law Information Session in Granville, Sydney, the launch of the ‘Strengthening Child Safe Organisations’ report in TAS and a ‘Healthy Living in Katanning’ Art Exhibition in WA. See the community events. Some events are still occurring, Play Your Part Award recipient South Coast Child Wellbeing Network are hosting their annual Family Fun Day tomorrow in Warrawong, see the details. The 17 award recipients from every state and territory were presented their awards at ceremonies across the country. The national award recipient’s Amrit Versha, for being an inspiring advocate for children’s safety and wellbeing in the migrant and refugee community and the National Children’s Youth and Law Centre’s collaboration were presented at the launch of National Child Protection Week by His Excellency Sir Peter Cosgrove, Governor-General of Australia at Admiralty House, see the NAPCAN events photo gallery. The Governor-General launched the 25th National Child Protection Week, speaking about the importance of keeping children safe by listening to them and acting on their needs and recognising NAPCAN’s commitment to the prevention of child abuse and neglect over the past 25 years. NAPCAN Board President Teresa Scott, reflected on what has been achieved over the past quarter century but spoke of the continuing need to educate Australians on the role they can play in creating safer, healthier and happier communities for children, young people and their families. Kristian Reyes, a NAPCAN Love Bites program facilitator, shared at the official launch his passion for working with young people about developing respectful relationships and his moving story of being here today because of the women in his life, particularly his mother. The music video Never Stop Shining, (see image below) about empowerment and self-esteem featuring young women who took part in the Love Bites workshops in the Midwest, Western Australia was shown at the ceremony. Read more. Kids Helpline and Optus received their national award for the Kids Helpline @ School Program from the Hon. Scott Morrison at a special presentation at Mother Teresa Catholic Primary School in Canberra. Year six students took part in a session with a professional counsellor in their classroom via video technology which demonstrated the free national service.